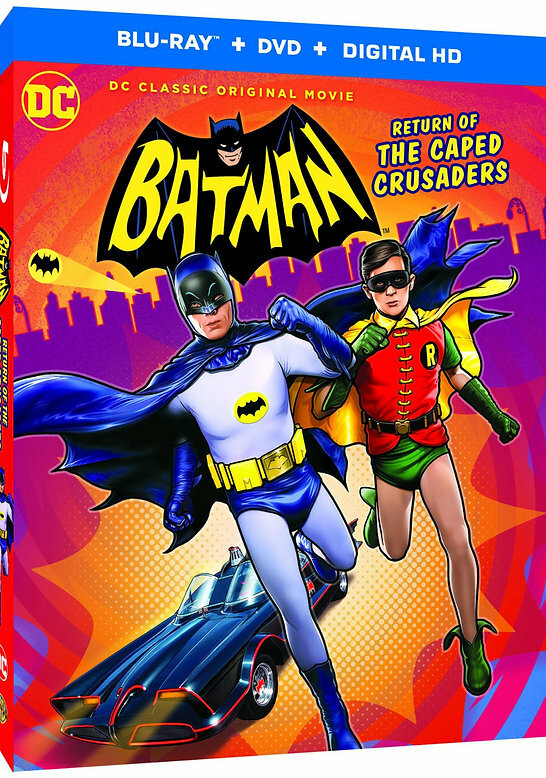 � T��he Return of the Caped Crusaders is a 2016 straight to DVD release featuring the voices of Adam West, Burt Ward, and Julie Newmar in their iconic roles as Batman, Robin, and Catwoman. In the movie, Gotham City is once again plagued by the "core four" of villains from Batman's Rogues Gallery in a story that takes place on the streets of and in the air over Gotham City, plus into outer space! The movie had a world premiere at New York Comic Con and then was featured in a one-day theatrical release. John went with his family to experience it and is joined by Dan Greenfield of 13th Dimension in this "Quick Thoughts" podcast offering their non-spoiler review. ​The movie is now available in digital format through most online platforms such as Amazon and iTunes. It will be released in a DVD-Blu-Ray Combo pack on November 1. Take a listen to our thoughts on the movie and let us know what you think. A more detailed analysis with a cast of our own rogues will be released on November 1.